With the Let 410 / Let 420, you can travel to as far as New Jersey, USA if you’re coming from Ontario, Canada. This is how the aircraft can take you much farther. 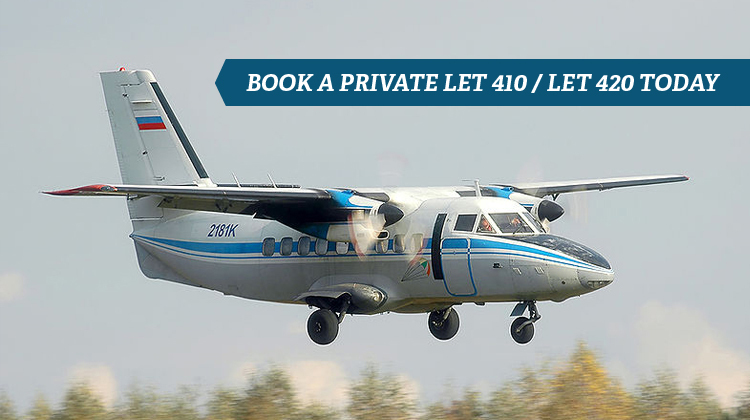 As it accommodates about 19 passengers on a regular flight, the Let 410 / Let 420 can also be customized to fit its passengers’ needs. Private jets are much more convenient to charter for, since they have the complete amenities to ensure you’ll have a comfortable flight. Powered by the Walter M601, this aircraft can also fly up to 20,725 up the air. This is quite ideal if you’re fond of flying over aerial sceneries. As you reserve for your private Let 410 / Let 420, it also helps to confirm all the features you’ll experience throughout the flight. This way, you can make the most of your journey despite its short term duration. This aircraft also has a spacious luggage capacity, so you can bring your travel essentials to your next destination. The Let 410 / Let 420 can seat up to 19 passengers in one flight. Its seats are also made and installed in a practical line up. For a small aircraft, it can be a relief to find how it can also fly to regional destinations. This plane also has a single alley and in-flight entertainment can be customized depending on the charter service’s initial plan. For instance, some units may provide a television set right in front of the passengers so they could be amused within the short duration of their trip. The Let 410 / Let 420 also has a stable glide along the horizons. Hence it’s also no wonder why the Let 410 / Let 420 is constantly sought for when it comes to quick regional trips. If you’re up for adventurous flights, a private charter of this aircraft should be advisable. Manufactured by Czech company Let Kunovice, the Let 410 / Let 420 started to take its flight during 1969. It has had various operators from the civilian and military sectors. The model also has over a dozen variants, to fit the requirements of its applications. 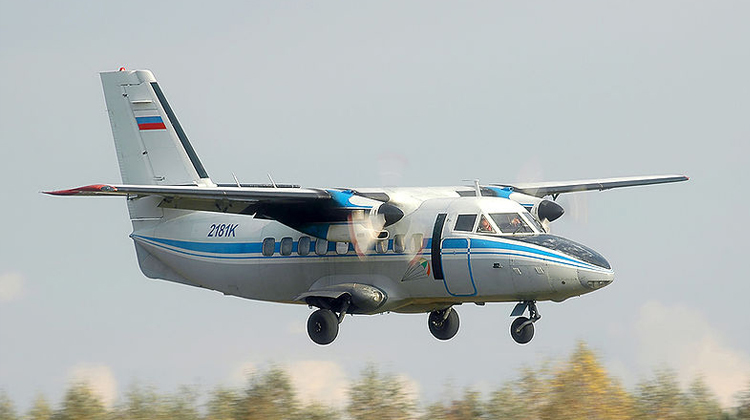 Among its competing planes within the same category include Embraer EMB 110 Bandeirante and de Havilland Canada DHC-6 Twin Otter. Given its number of units produced, the Let 410 / Let 420 is considered to be widely sought after. With its over 4 decades’ worth of service, this plane may have quite an impressive run for a pioneer.